This Virtual Classroom event featuring Chris Hadfield marked the launch of Space School, an NFB Education resource developed in collaboration with the Canadian Space Agency. Recommended for ages 10 and up, Space School offers 56 short films and 11 infographics created specifically for the classroom, and is supported by lesson plans for learning outcomes in topics such as health, science, geology, English, French, and leadership. A Virtual Classroom with the famous singing and tweeting astronaut was indeed the perfect intro to Space School. Chris Hadfield talked about his exciting experiences as the first Canadian in command of the International Space Station and shared the story of his amazing journey. The wide-ranging discussion covered the fascinating relationship between geology and space exploration and the surprising impacts of space travel on physical and mental fitness. Chris Hadfield made the world fall in love with space travel again, sharing images of planet Earth from space along with his own poetic musings via social media. He joined us for a Virtual Classroom to continue sharing his unique perspective, passion and knowledge, garnered from a remarkable career with the Canadian Space Agency. Watch the Virtual Classroom to learn more about everything from space rocks and International Space Station research programs to the challenges of daily life in orbit and the pressures space travel can exert on the human body and mind. Discover the path he took to fulfilling his childhood dreams, and get the inside scoop on recording the first-ever music video in space! Photo credits : Portrait by Journal de Montréal and Colonel Hadfield in the International Space Station by Julia Ostrowski. 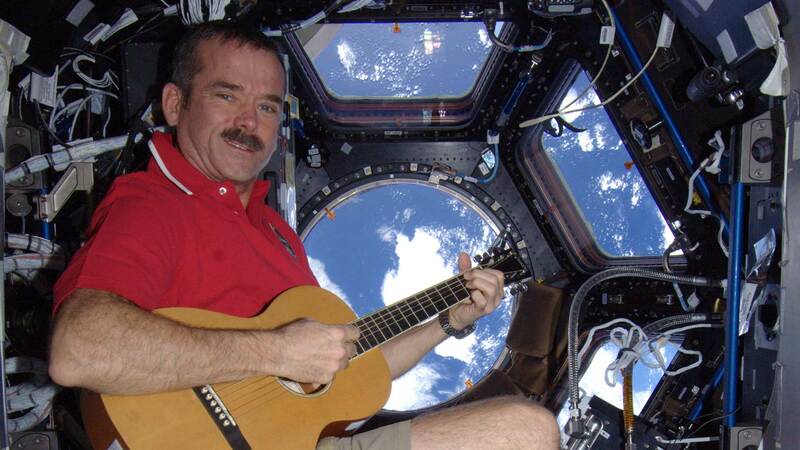 Chris Hadfield was the first-ever Canadian Commander of the International Space Station. His career as an astronaut spanned two decades, from 1992 to 2013. Hadfield was named to the Order of Canada in 2014. Follow us on Twitter (@NFB_Education) or Facebook (NFB Education) for more exciting news about our Virtual Classrooms.